SCS.3d, DJ Package from Stanton Magnetics. By combining two of theSCS.3d controllers with the new SCS.3m MIDI mixer, plus including Native Instrument's Traktor LE software, Stanton has put together a new SCS.3 configuration, all in one box. In the SC System 3, Stanton's touch-sensitive control surfaces and Native Instruments' new Traktor LE DJ software come together to create a DJ control solution. 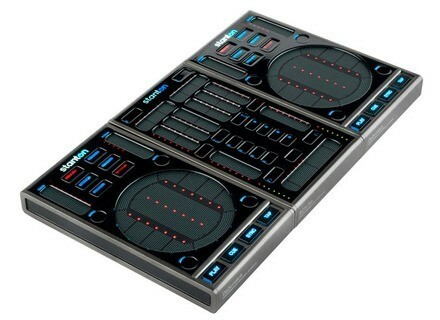 The system includes 2 SCS.3d deck controllers and the SCS.3m mix controller, which magnetically join together to give you the familiar layout of a traditional DJ rig. The simple powered USB connection is designed to allow you to DJ anywhere in the world with no hassle. Xylio FutureDecks Pro v1.5 Xylio has announced the release of FutureDecks Pro v1.5.